The third edition of the Adapter Collective´s experimental audio/video project will take place at the Temporary Art Centre in Eindhoven on June 9th. 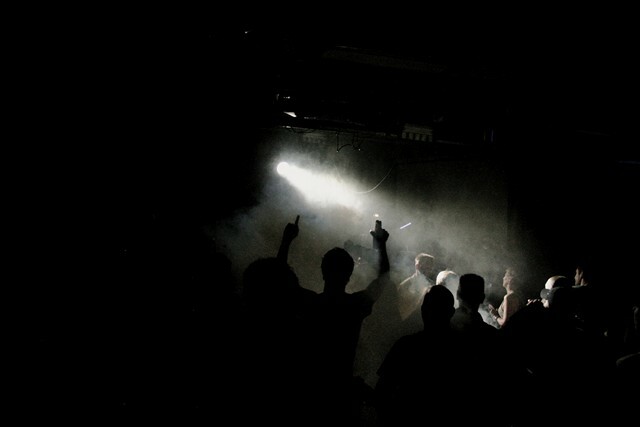 A number of live electronica artists are linked to an equal number of video artists. This allows for one-off, mainly improvised a/v-performances unique to this particular night. 01-05-2012: Adapter member Ekman has released a 7 track LP on Panzerkreuz (Bunker). Listen to it here. 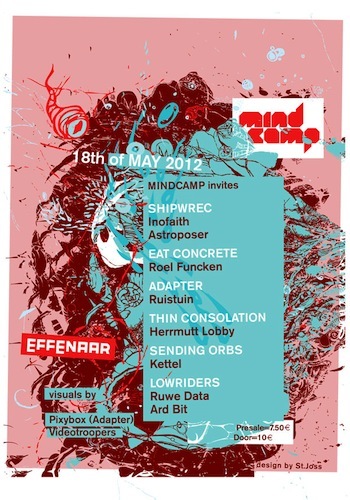 28-04-2012: Returning for the second time to Eindhoven this year is the Mindcamp festival at de Effenaar. On May 18th a number of different electronic music labels and collectives will present themselves to enthousiasts of IDM (Intelligent Dance Music). Pre-sale tickets are € 7,50 and € 10 at the door. Adapter presents ‘Potpourri Électronique’ at this year’s Paaspop festival in Schijndel. 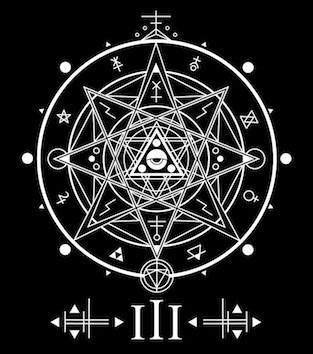 Three days of (live) visuals, electronica, acid, electro, techno & jungle! The Adapter crew wishes everyone a healthy and creative new year. We are currently brainstorming for our upcoming projects in 2012, so stay tuned! – DJ Jung’lin is back at the turntables! Look at her profile for dates. – Ekman has released two videos for his upcoming release on Panzerkreuz (Bunker). Watch them here. – Psiox will perform at Tacscout on March 3rd 2012. More info at www.tacscout.nl. – On the 7th of January 2012 Pixybox Visual Projects kicked off the new year at Update.2.0.12, an event organized in one of the last untouched pieces of industrial heritage known in Eindhoven, the basement of the monumental and old Philips Physics Laboratory-Natlab at Strijp S. Check out a video of her video mapping project here. – On December 23rd 2011, Ruistuin performed an original composition to the silent film ‘Ballet Mécanique’ (George Antheil, 1924) @ WEI Eindhoven. Watch it here.